Start your day sipping an espresso and admiring the view at Caffetteria delle Oblate. 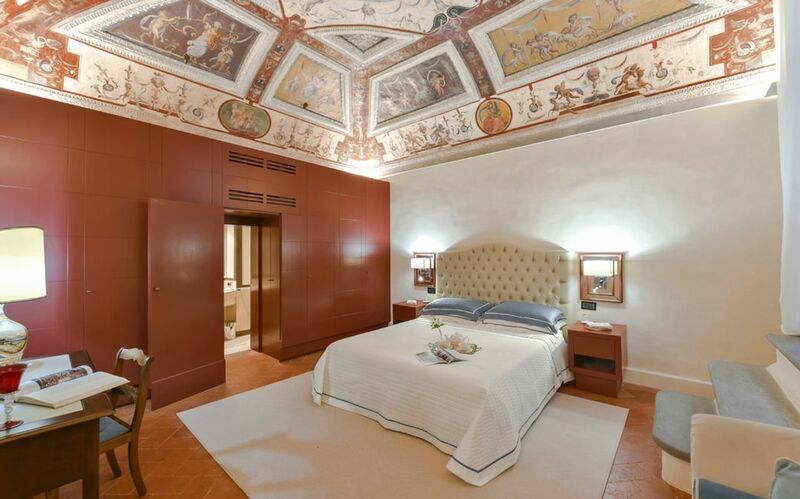 Next, take a stroll around the huge Giardino Della Gherardesca or simply laze on its secluded lawns before admiring the exhibitions at the Museo Archeologico Nazionale di Firenze. In the evening, stop in for the famous shots at Florence institution Eby’s or sip a cocktail over at Colle Bereto, before devouring a bistecca fiorentina at Accadi. Later, Try something different with an opera at the Teatro Della Pergola or grab a group of friends and go dancing at Rex Café. 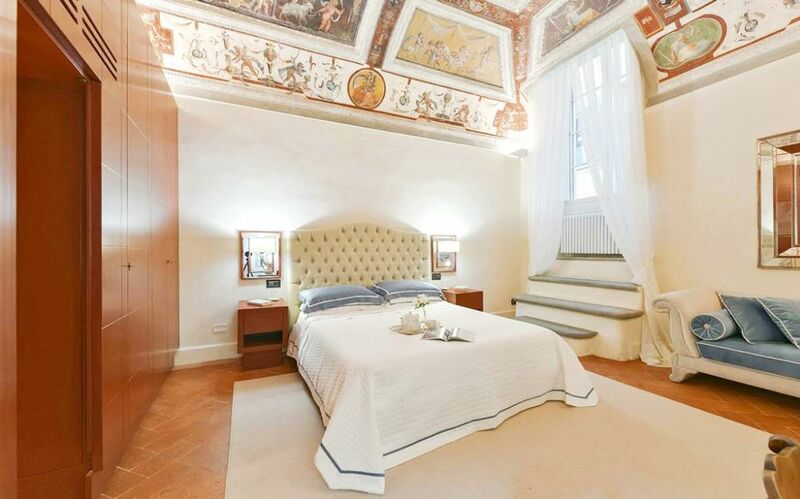 Wake up late when you live at Duchessa as you are just a seven-minute walk from the Universita Degli Studi Di Firenze. If you have heavy books to carry, hop on a bus and get there in four. 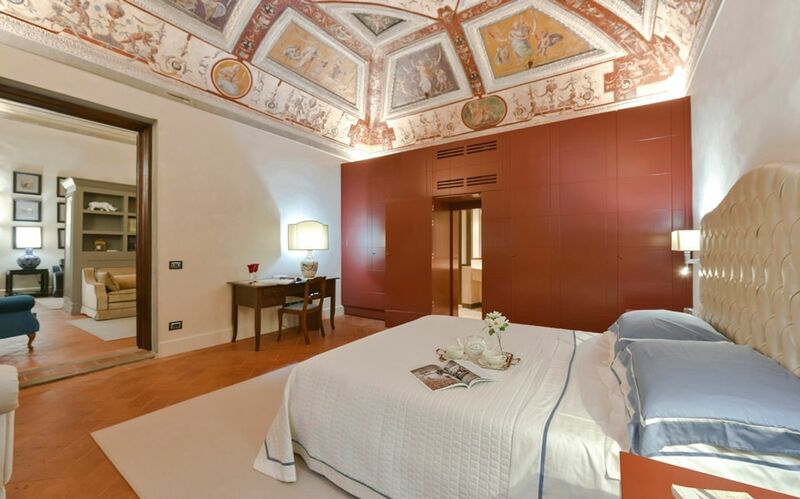 Wake up each morning on the ground floor of the beautiful Palazzo Caccini, dating from 1400, and take a shower in your marble bathroom. Head into your fully equipped kitchen to brew some coffee in your machine or make a hearty breakfast. Choose something to wear for the day from your custom-made large wardrobe. If your clothes are creased, grab the ironing set in your apartment to look smart for your classes. When you arrive home from university, stop off at Mister Pizza to pick up some authentic slices or even go gluten-free. Alternatively, heat up some leftovers in your microwave or go out to eat a local pasta dish at one of the many restaurants close by. If you want to show off your cooking skills, invite fellow students round for a more formal meal in the dining room of your apartment, enjoying a glass of wine afterwards in the garden. Take an after-dinner walk among the pretty streets around your building before ticking off some chores as you throw some laundry in the washing machine and dryer. Go to bed at Duchessa knowing that you’ll be well-rested in the morning. As well as air-conditioning, there is soundproofing on the windows to make sure that you can get a good night’s sleep. Entire Place Relax in the privacy of a fully self-contained property. Your living space, cooking and bathing facilities are all just for you. 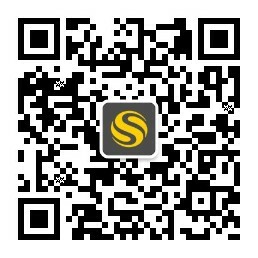 Apply as a group with friends to rent larger places and share the cost. We couldn't find a room that matches your preferencesView all Entire Place in Duchessa. All set and ready to book your chosen room? Click Book Now. Need a few more details? Click Request Details. You are now leaving Student.com and are being redirected to Liberty Living's website to book your room. See you next time! You are now leaving Student.com and are being redirected to Student Roost's website to book your room. See you next time! Unable to sign you up, please try again later. Looks like you're visiting us from %source_country%! Would you like to visit the %language% site? If you find your choice of accommodation available at a lower price on other third party student marketplaces, we will match that price at the time you make your booking. This includes group booking discounts, incentives and 'refer a friend' offers. The other third party student marketplaces’ price is a genuine offer (as determined solely by Student.com). After you have made your booking with us. Inform us before completing your booking that you wish to claim the price match.